St. Stephen's is a parish of the Diocese of Kansas, a community of 46 congregations and 12,000 Christians in the eastern third of the state of Kansas. The diocese includes the cities of Wichita, Topeka, Lawrence, Manhattan, and the Kansas side of the KC Metro area, as well as parishes in smaller towns in the region. The central house of worship for the diocese is Grace Cathedral in Topeka. A diocese is a geographic region. It is also spiritually gathered around the bishop. Our bishop is the Right Reverend Dean Wolfe. The word "Episcopal" actually comes from the Greek word for bishops, so it is an important part of our identity that our church life is structured around bishops. A video of Bishop Dean Wolfe’s convention address, which took place as part of his sermon at the Convention Eucharist, is online at http://www.youtube.com/watch?v=6-MiFp9Azy8. The Friday keynote address by Bishop Stacy Sauls is online athttp://www.youtube.com/watch?v=4joOJERQ3q0. 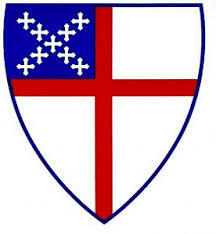 The Saturday keynote address by Bishop Sauls is online athttp://www.youtube.com/watch?v=LEBNZAgijZA. Deacon Bob Hirst has convention photos online athttp://www.flickr.com/photos/lovesymphony47/sets/. Director of Communications Melodie Woerman has photos online athttp://www.flickr.com/photos/melodiewoerman/sets/.